I have just completed a PhD in Creative Writing. 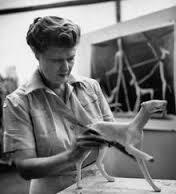 My subject was the American sculptress, art collector and benefactress MARY CALLERY. The novel based on Mary’s life is entitled The Sculptress; the accompanying critical thesis examines notions of loss in the writing of real lives. For more information on Mary or my research, please feel free to contact me via the contact form on the main menu.